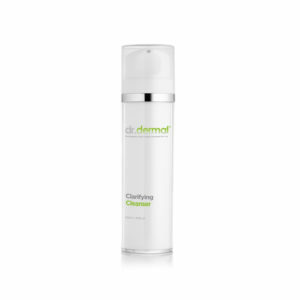 dr.dermal’s Clarifying Cleanser is designed for every day use on problem skin or skin prone to breakouts. With its combination of salicylic acid, glycolic acid and lactic acid it effectively de-congests & exfoliates the skin for a natural, glowing complexion. 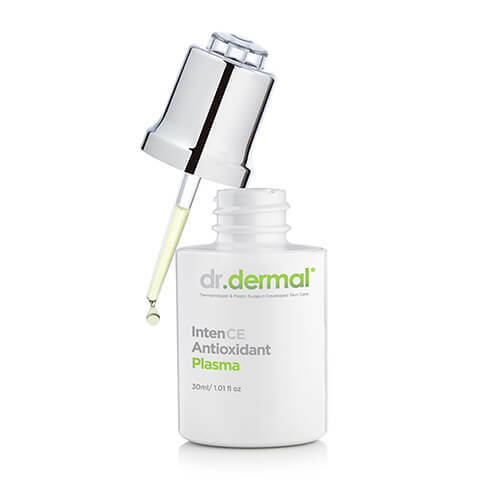 dr.dermal’s IntenCE Antioxidant Plasma is one of the most powerful antioxidant products available on the market today. With its potent cocktail of free radical scavengers it boosts the skin’s natural defences, and with regular use it will visibly brighten dull, tired looking skin. 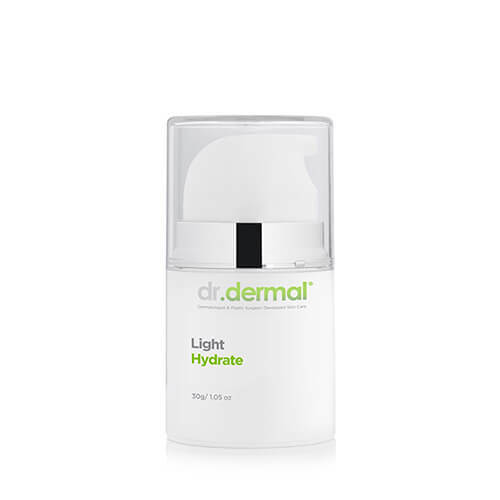 A light and rapidly absorbed moisturizer that provides long lasting hydration. Perfect for sensitive or problematic skin. dr.dermal’s MicroRetinol 5 Rich Repair retinol cream is carefully formulated to provide controlled release of retinol into your skin, which ensures maximum skin renewal benefits whilst reducing the risk of irritation. With regular use it refines, repairs and revitalises the condition of your skin. 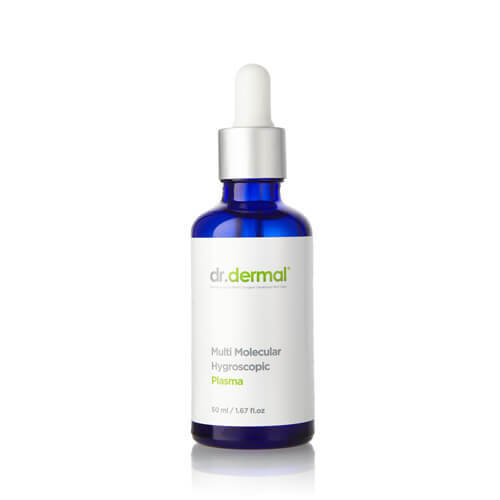 dr.dermal’s Hygroscopic Plasma uses multi-molecular sizes of hyaluronic acid to penetrate deep beneath the skin’s surface and provide lasting hydration. dr.dermal’s Texture Correction Lotion is an advanced moisturising lotion that provides deep hydration to the skin. With regular use it enhances cellular renewal and leaves the skin feeling silky soft. The game-changer in home exfoliation. 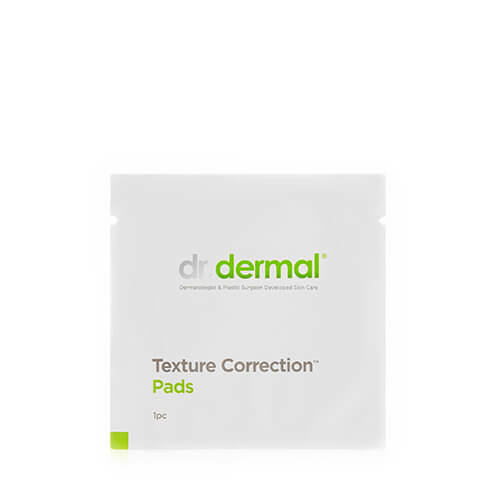 With professional strength glycolic acid, moisturisers, and powerful antioxidants, dr.dermal’s Texture Correction Pads reveal dramatically smoother, revitalised skin after only the first use.The power of a professional peel in a single pad. dr.dermal’s Omega Skin Oil is a complete source of essential fatty acids (Omegas 3, 5, 6, 7 and 9), which encourages optimal cellular integrity and provides superior hydration to the skin. dr.dermal’s Repair Balm is a powerhouse product that is packed with nourishing ingredients to restore and fortify the skin. It contains ceramides, EFA’s, antioxidants, peptides, calming essential oils and moisturising butters to recharge and replenish all skin types that require advanced repair.